What’s in a name? Last September, when we changed our name from Google Enterprise to Google for Work, it wasn’t just about what we call ourselves – it was about what we stand for. We want to build great products that help you with every aspect of your life – including work (where many waking hours are spent). Enterprise is old business. We believe in a new way of working with collaboration at the core. A world where we work how we choose. Where getting stuff done in the office doesn’t feel like traveling back in time. Where our work tools are just as good or even better than the ones we have in our personal lives. We bring the best of Google to work. The same cloud computing infrastructure that we use to run our search engine; powerful apps and services to help you get work done – fast; simple, secure platforms to access everything, wherever you are. Google Apps for Work is proving to be the next generation tool of choice: according to a Better Cloud study, Millennials (aged 18-34) are 55% more likely to use Google Apps than alternatives. It’s cost effective, too: Forrester Research’s Total Economic Impact calculator shows that companies using Google Apps see a 304 percent return on investment. We’ve introduced groundbreaking new services with Google Cloud Platform, such as Nearline and Cloud Bigtable for storage and Kubernetes, an open-source container orchestration system. In total, we’ve added over 30 products to our stack, and our online community has nearly doubled. Chromebooks are now the best-selling device in the US for K-12 education, according to a report from IDC. More than 10,000 companies are testing, trialling and using Android for Work following its launch in February. In July, we added carriers such as AT&T and Verizon to our partner program and introduced a new class of devices for regulated industries, like the Blackphone by Silent Circle and Samsung's KNOX devices. And the best is yet to come. Cloud computing will continue to get more powerful, and we’re only at the beginning of what machine learning can do to help businesses and people contextualize data. Imagine an even smarter digital assistant that can surface the information you need at just the right time and help you manage your schedule for stress-free productivity. Virtual reality products, such as Expeditions, are going to help us learn and work in exciting new ways. And finally, more and more of the objects around us will connect to the internet, enabling more efficient information transfer and actionable data for businesses than ever. These advances will affect all aspects of our lives, including work, and the possibilities are great. We’ll keep our focus forward, so that wherever we’re going, we’re always embarking on what’s next. At the Bronx Latin School in New York City, teacher Katrina Roman says the topic of ancient history doesn’t usually set students abuzz. 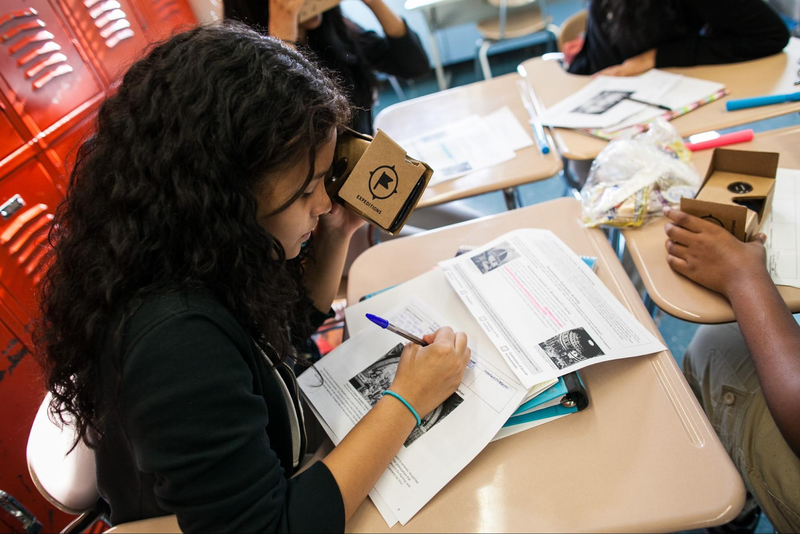 But this week, they took a field trip to ancient Aztec ruins using Google Expeditions, a virtual reality teaching tool built with Google Cardboard. Normally, their assignment would involve poring over photocopied photographs, but instead, they stood at the top of Chichen Itza, then examined detailed carvings at Tenochtitlan. Amid “oohs” and “aahhs,” the students shouted out details they noticed and shot hands up to answer Ms. Roman’s questions. Katrina Roman's class at the Bronx Latin School fills out their assignment after visiting Aztec ruins with Expeditions. The class is part of a history and geography pilot with New Visions for Public Schools. Starting today, we’re bringing this experience to thousands of schools around the world with the new Expeditions Pioneer Program. During the 2015/2016 school year, we’ll be bringing “kits” containing everything a teacher needs to run a virtual trip for their class: ASUS smartphones, a tablet for the teacher to direct the tour, a router that allows Expeditions to run without an Internet connection, and Google Cardboard viewers or Mattel View-Masters that turn phones into virtual reality headsets. Although nothing replaces hopping on the bus for a field trip, there are some places that are just out of reach (hello, Chichen Itza!). Virtual reality gives teachers a tool to take students places a school bus can't. To help teachers learn how to use Expeditions, we’ll be visiting thousands of schools around the world and bringing the kit for teachers to use in their classes for the day. Up first: Australia, Brazil, New Zealand, the U.K. and the U.S., followed by more locations as the school year progresses. At each school, our team will show teachers how Expeditions works and help set it up before class. And if you see one of these cars on the road, that's us! 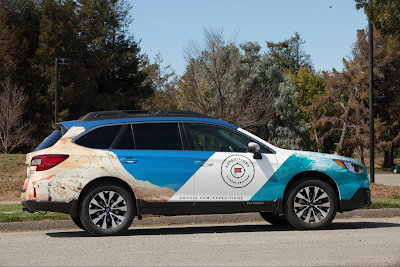 The folks at Subaru, who invest in education as part of their Love Promise initiative, have created a fleet of Expedition Pioneer Program rides that we'll be using to bring kits to schools. If visiting Mars, trekking on the Great Wall of China or exploring what it’s like to work at a veterinarian’s office sounds like something your class would be interested in, head to the Expeditions Pioneer Program site and sign up. 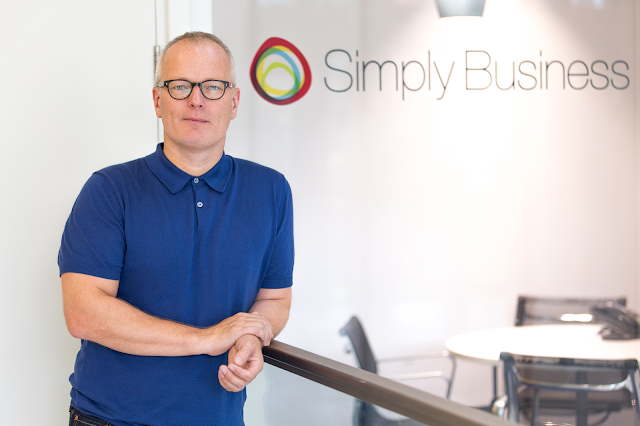 Editor's note: Today we hear from Jason Stockwood, CEO of Simply Business, the UK’s biggest business insurance provider and the top-ranked company on The Sunday Times’ list of 100 Best Companies to Work For in 2015. See how Google Apps strengthens the Simply Business team’s valued company culture and gives employees the freedom to explore new ways of working. Working at five online companies in the last 15 years has taught me that a company’s culture resonates in all things that it does, and that an attractive internal culture will ultimately attract customers as much as it attracts talent. So when our systems administrator, Martin Golder, proposed that we switch Simply Business to Google Apps for Work, I needed to understand how the change would affect our company culture, and feel confident it would have a positive effect on both our people and our business. I quickly gained that confidence as I tested Google Apps out for myself. Gmail and Calendar transformed my work in ways I hadn't expected. For example, over the past twenty years, I’d created a complicated, time-consuming filing system for my email, but I gave it up as I discovered Gmail’s incredibly powerful search function. And the ability to log into a web browser and have full use of my account without going through clunky webmail servers was massively impactful. Then there was the financial bonus: it cost us £26,000 to implement Google Apps for Work, less than half the price of its competitors. With our pilot complete and our decision made, we rolled out Google Apps for Work in March with help from Cloud Technology Solutions and a group of our own production champions, including both myself and the staff of our contact centre in Northampton. The buzz that evangelists created really pulled everyone on board, and when we finished our full deployment in May, we could rely entirely on the product champions to step in when questions came up from people across the team. 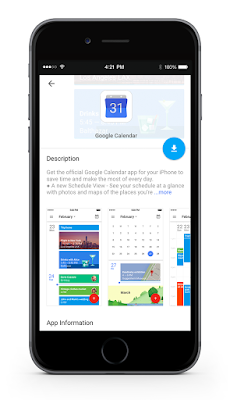 The time and cost savings of Google Apps goes far beyond the deployment. Our IT team no longer wastes four hours a week maintaining our old email servers, which translates to over £4,000 a year that goes back to the business. They also spend 70 percent less time on helpdesk requests. And the wider team saves nearly 20 minutes each meeting merely by replacing our old meeting room booking process — using phones around the office to check availability of a room — with Calendar. Using simple but powerful work tools gives our staff the freedom to create new ways to be efficient for our customers. At our Northampton contact centre, two hundred of our staff speak directly to customers every day. In the past, they would take a query, put the customer on hold, ring around to find someone who could help, then go back to the call. Now they use Hangouts to ping each other while customers share their queries, comments and concerns, which is simpler and faster and doesn’t put anyone on hold. The System Administration team, split between London and Northampton, also uses Hangouts for daily discussions, while remote consultants use Hangouts for weekly tech tutorials by streaming video through a Chromebox-linked projector in London. One month after the rollout, we used Google Forms to survey staff reactions to the new system, and received an overwhelmingly positive response. 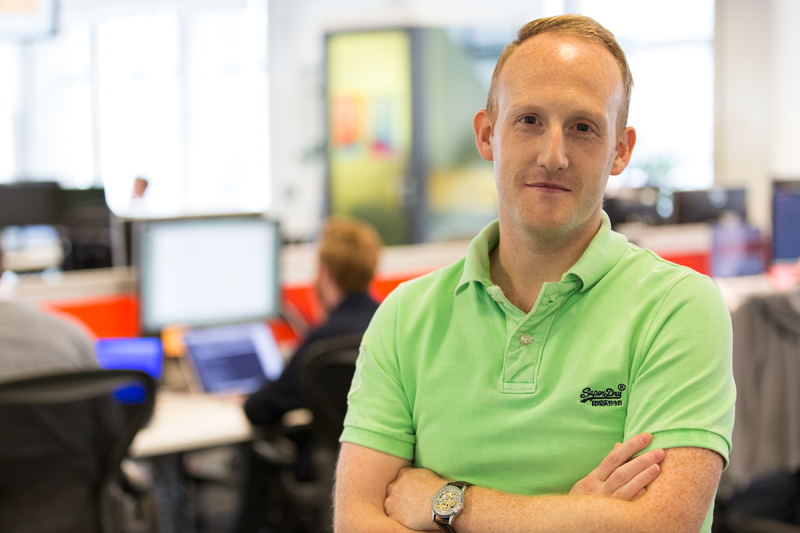 More than two hundred of our staff have already started to use Drive of their own accord, and next year we’ll make the transition official by moving all of our 1.25 terabytes of files and secure spreadsheets onto the cloud. My advice to anyone considering the switch to Google Apps for Work is just to try it out. You’ll see the benefits immediately. It’s a new, lighter, easier way of working. , custom audit alerts, new sharing controls, Password Alert, new password recovery options, Whitelisted Domain sharing and the Security Key. Earlier this year, the number of paying organizations actively using Google Drive crossed one million, including companies like The New York Times, Uber, Fossil, Wedding Wire and BBVA. To show our ongoing commitment to keeping their work and employees safe, we’re rolling out new updates and features for our customers. To give businesses even more visibility and control over employee files, Google Drive will offer enhanced eDiscovery capabilities for Google Apps Vault. Retention policies and legal hold capabilities, similar to those currently available for email and chat, have been extended to cover files in Google Drive. These capabilities help you meet your legal obligations and ensure that employee files are archived and available as long as needed, even if employees delete those files from their Drive. These new capabilities are in a limited rollout now, with full availability planned for the coming months. Over the years we’ve completed third-party SOC2 / SOC3 security audits and achieved ISO 27001 certification to provide transparency and accountability around our security procedures. Today, we’re furthering our commitment to protect your data by adding the new ISO/IEC 27018:2014 privacy standard to our compliance framework. This audit validates our privacy practices and contractual commitments to our customers, verifying for example that we don’t use your data for advertising, that the data that you entrust with us remains yours and that we provide you with tools to delete and export your data. More and more employees are using phones and tablets for work, and usage of Google Drive on mobile is on the rise. In fact, in January of this year, Google Drive first appeared on ComScore’s list of top 25 mobile apps at number 25, and since then it has climbed to number 16 on the list.1 To protect company data on mobile devices, both company- and employee-owned, we’ve continued to update the Mobile Device Management (MDM) included for our business customers. With mobile device and application management, you can monitor usage, enforce strong passwords and enable device encryption. If an employee phone is lost or stolen, you can wipe all of the data. Or if an employee leaves the company, you can selectively wipe corporate data while leaving personal data untouched. Today businesses rely on the cloud to make their work more accessible and collaborative than ever, and they also want it to be more secure. We’re committed to making Google Drive the safest place for all of your work. 1 Source: comScore Mobile Metrix, August 2015, U.S.
Security has always been a top priority for Google. It’s no different for Google Drive: so far this year we’ve launched a number of security enhancements, including Information Rights Management (IRM), custom audit alerts, new sharing controls, Password Alert, new password recovery options, Whitelisted Domain sharing and the Security Key. Nearly a decade ago, we launched Google Apps as an innovative new way for you to collaborate online. Since then, we’ve introduced security innovations like encryption by default, two-step verification, security keys and a security checkup to protect your data. These features underscore our commitment to data protection as outlined in our Google Apps data processing amendment. Today, we’re furthering our commitment to protect your data by adding the new ISO/IEC 27018:2014 privacy standard to our compliance framework. The new standard provides guidance for cloud providers on protecting the personally identifiable information of their customers and their customers’ users. We continuously work with independent auditors to verify our data protection commitments. For example, over the years we’ve completed third-party SOC2 / SOC3 security audits and achieved ISO 27001 certification to provide transparency and accountability around our security procedures. The 27018 audit also validates that our Google Apps data protection commitments meet a rigorous international privacy and data protection standard. We think that this a great step forward for both our customers and for the industry. While laws and regulations vary from country to country, the principles set forth in the standard are widely recognized. Editor's note: Today’s guest blogger is Douglas Grgas at Converga, a business process outsourcing company based in Australia, providing digital mailroom, document processing and a variety of other managed services. Converga introduced Chromebooks to ensure better availability of internal services for remote employees, as well as a new platform for office staff. When employees are based in many different locations, whether it’s at corporate offices or customer sites, it’s important to make all employees feel connected to headquarters. As a company with over 1,300 resources at more than 150 customer locations, we’ve addressed this challenge firsthand by providing employees with technology to stay in touch. Many of our employees spend the majority of their time at our customers’ offices providing managed services, such as operating mailrooms or converting paper documents to digital versions. To bridge the gap between off-site and on-site communications, account managers visited customer sites regularly to communicate with remote employees, and our CEO carried out a roadshow, where he talked about company performance, new customer wins and progress on global objectives, but off-site employees still felt disconnected from central operations on a day-to-day basis. Our biggest ongoing challenge with keeping employees connected while at customer sites was having to rely on customers’ devices and networks. 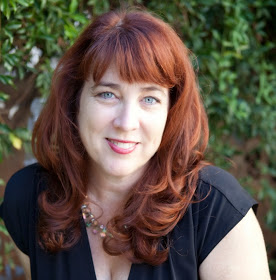 Often employees couldn’t access email and the Internet, which resulted in being disconnected from corporate communications and reduced productivity. We wanted everyone to feel connected and productive wherever they were, and to have access to technology that simplified their activities. We chose Chrome for Converga because of its simplicity of use and seamless remote management. We liked that Chromebooks are sleek and lightweight like a tablet, but have a keyboard for easy data entry. Beyond the device, the central Chrome Device Management service allows easy deployment and controls, device security, network connectivity and integrated apps across Converga’s fleet of Chromebooks, all with the additional benefit of leveraging Google’s Support services. Also, since Chromebooks integrate with Citrix XenApp, which virtually delivers existing apps through the Chrome Browser, we don’t have to repurchase or rewrite existing applications. Converga has deployed Chromebooks at 50 customer sites across Australia and New Zealand during the past year. We’ve also deployed numerous devices, many utilizing the Citrix XenApp, at our corporate offices. Now more than 500 employees have a two-way channel to communicate with headquarters, using a reliable and standard operating environment, which IT can manage remotely. Employees can quickly search for information using Chrome, record notes in Google Docs and communicate with employees at other sites via Hangouts and Google+, all accessible via a simple to use, remotely managed, lightweight device. Chromebooks are the foundation that helps our employees connect with each other and senior management. We use our company Google Site, which acts as our intranet, to do everything from feature employees of the month to communicate company perks and share performance metrics. Employees also use the intranet to share updates about customer sites, so the rest of the business can stay connected. For example, around Christmas, our employees post pictures of how their customers have decorated for the holidays. Each time an employee does something related to the Converga tree, a tree that represents our company values, he or she is asked to share the activity with the rest of the community. Introducing Chromebooks has supported our goal of making all employees, regardless of their location, feel united. As we continue to introduce new technologies, our employees are more engaged in their work and empowered to share their stories with one another. Working on the move has gotten pretty easy. With just your phone, you can set up your next meeting in Calendar, keep track of your expenses in Concur and follow up with a new client in Gmail. And as the IT admin, it’s now easier than ever to get your team up and running on their own devices with Google Apps Mobile Management. Starting today, with the new Device Policy app on iOS, employees can easily see which apps are company approved, install them, and keep getting things done. On Android, admins can already use the Device Policy app and Google Play for Work to manage devices and apps (MDM and MAM for alphabet soup lovers), while on iOS, admins can also already manage device policies like requiring passwords and removing company information with account wipe (MDM) directly from the Admin console. 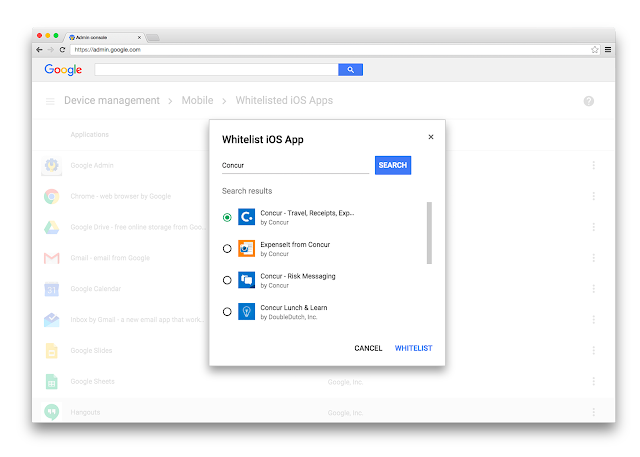 As the admin, you can quickly whitelist any work app from the iOS device management section in the Admin console. Because security has always been a top priority for Google, we're continuously working to stay ahead of those with bad intentions. But the latest security is only as good as the number of people who use it, and that’s why mobile management — including MDM and MAM — is simply a part of Google Apps for Work, so you can just start using it, nothing to buy. 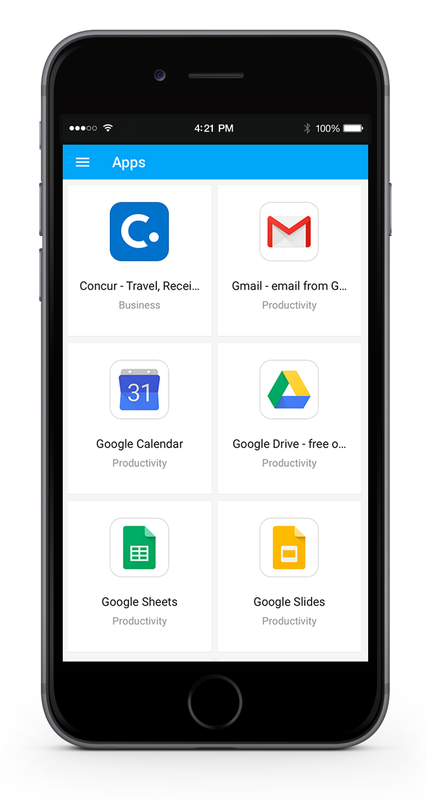 We spend a lot of time on those devices in our pocket, so take advantage of everything included with Google Apps for Work, and let us know what’s working and what could be better in the Google for Work Community. The right apps help organizations get work done. That’s where the Google Apps Marketplace comes in, with hundreds of third-party apps that integrate directly with Google Apps for Work –like BetterCloud, which automates management of your domain, or LucidChart, which helps you create beautiful diagrams within Drive. 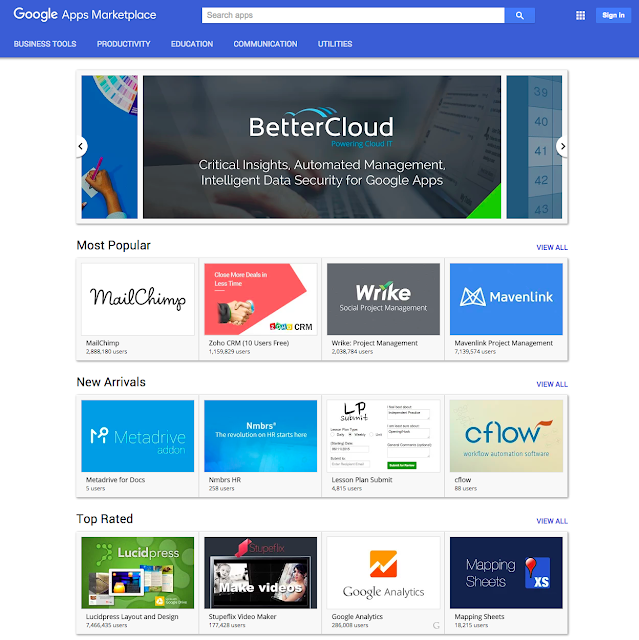 And today, the Google Apps Marketplace is getting a virtual facelift to make it even easier for administrators and employees to find applications to help them get work done. The new navigation bar enables you to easily find specific apps by browsing the most popular app categories, such as Sales & CRM or Task Management. From Asana (a team task management tool) to Zapier (a way to connect apps you use and automate tasks), you can find the right app to solve your organization’s needs. Check out the new Google Apps Marketplace and learn more about how to manage apps for your organization. 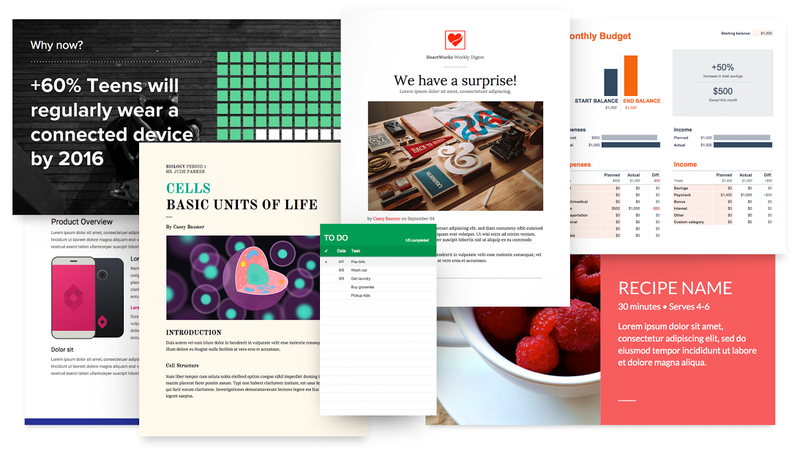 Editor's note: Today we’re launching a new Chrome extension, Share to Classroom, which solves a big pain point for teachers: getting all students to the same website during class. The Share to Classroom extension works on any laptop, including Chromebooks, Macs and PCs. Catherine Davis, former 4th grade teacher and Director of Academic Technology at Pilgrim School, piloted the Classroom extension with Mrs. Shorkey’s 3rd grade class, and here she describes her experience using this new extension and the impact on her students. Sharing a website with my students is a great way to get them engaged. When we studied South America, I shared a video of Tierra del Fuego, and my students were able to view the coast, hear the wind and see the waves soar. But getting a class full of 4th graders on the same web page is a huge challenge. I typically write the URL on the board, then walk around to help each student who misses a capital or underscore or backslash. My students get frustrated, I get frustrated, and before I know it 10 minutes of precious teaching time is lost. So I was thrilled to pilot the Share to Classroom extension. With the extension I can open a website and “push” it to my Google Classroom students, so the page opens immediately on all their devices. Our 3rd graders gasped when we tried it – the webpage instantaneously popped up on all of their screens. The new extension lets me engage my students and help them drive their own learning on 1:1 devices at our school. When our 3rd graders were studying Native American culture, I pushed a website to the class so they could research traditional clothing and food. The students aren’t locked to the page I send, and one student navigated from there to an even better site. With the Classroom extension, the student was able to push the new site to me, and I reviewed and pushed to the entire class. She had a boost of confidence when her discovery drove class discussion. Using the extension also lets me think on my feet. When discussing pioneers, a brave student raised his hand and asked “What’s a stage coach?” I realized my students hadn’t been exposed to the term. I immediately pulled up a definition and video and pushed it to the class. I also saved the webpage as a draft to post to my other Classroom students later. I could have projected on a screen, but the intimacy of having the webpage on each device allows students to explore on their own, hear clearly and watch repeatedly. It also levels the playing field for ELL and students of different backgrounds so everyone starts literally on the same page. As teachers, we never feel we have enough time to do everything we want with our students. The new Share to Classroom extension gives us back those few minutes it takes to get students to the same place and makes learning about investigating, not about navigating. *Note: Google Apps admins can install the extension for their entire domain so that it’s easiest for teachers and students to get started. 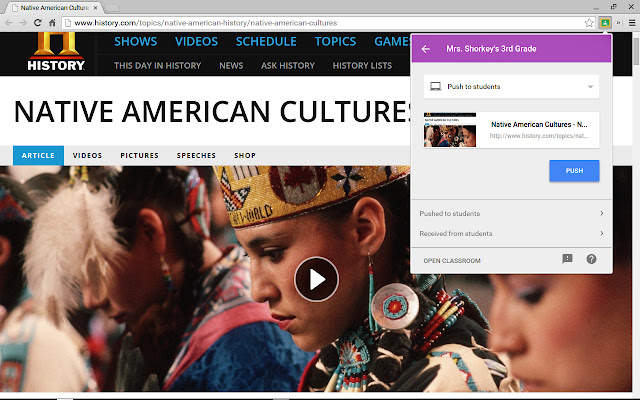 Teachers and students both need the extension in order to push web pages to each other.